The Colt King Cobra is back after the successful introduction of the Colt Cobra in 2017. The Colt Cobra is reincarnated for 2019 as a 6 shot .357 Magnum big brother to the Cobra DA revolver. 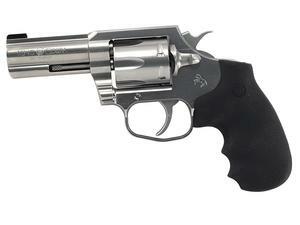 Comes in a brushed stainless finish, heavy duty stainless frame and Hogue overmolded grips. *California Single Action available, Click here for details.